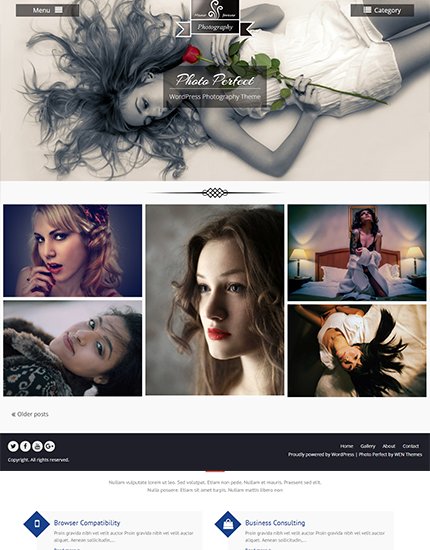 Photo Perfect Pro is a responsive photography WordPress Theme for professional photographer, photo bloggers and creative peeps. 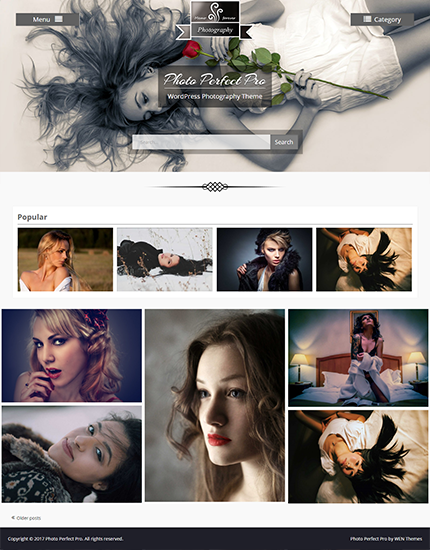 Theme is very easy to customize, maintain and use on a daily basis. If you are looking to make a strong online brand presence through their creative and innovative work then this theme is made for you.